Gather your loved ones together and herald a year of happiness and richness with a reunion feast at The Line, Shangri-La Hotel Singapore. 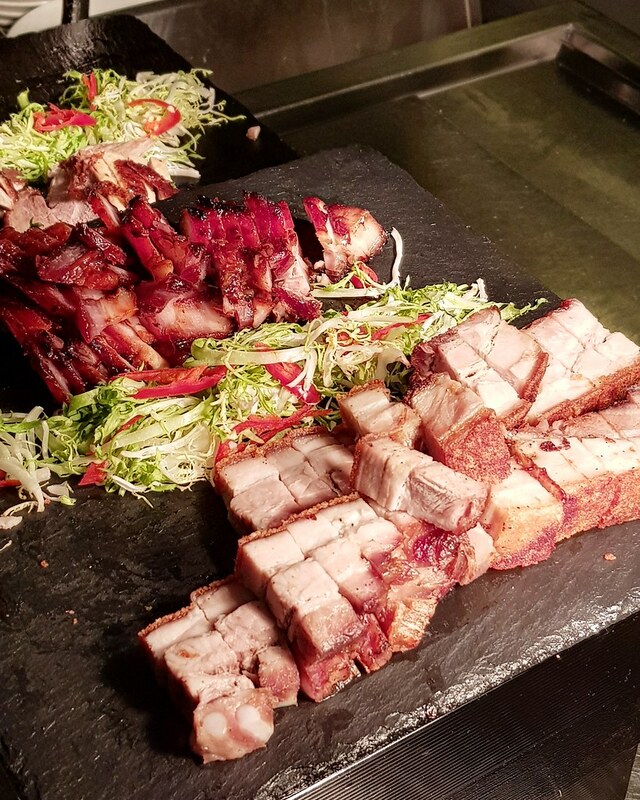 The celebratory spread features auspicious regional dishes including Shanghainese, Cantonese, Szechuan and Singaporean favourites to welcome prosperity and fortitude for the Lunar New Year. 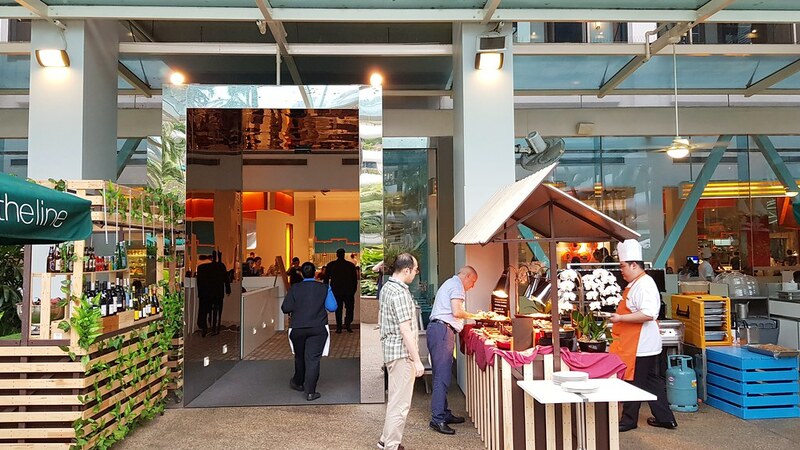 Available from 10 January to 28 February 2019, diners can look forward to a plethora of international dishes, with a number of festive highlights such as the Cantonese Imperial Seafood Porridge, Chilli Crayfish, Fried Salted Egg Fish Skin, Cantonese Waxed Meat Rice, and Crispy Chicken with Young Ginger. The Chilli Crayfish is one of my favourite dishes, with tender fresh crayfish meat that just falls off easily from its shell. Drenched in a pool of sweet chilli sauce that adds just the right amount of heat to bring out the freshness of the seafood. 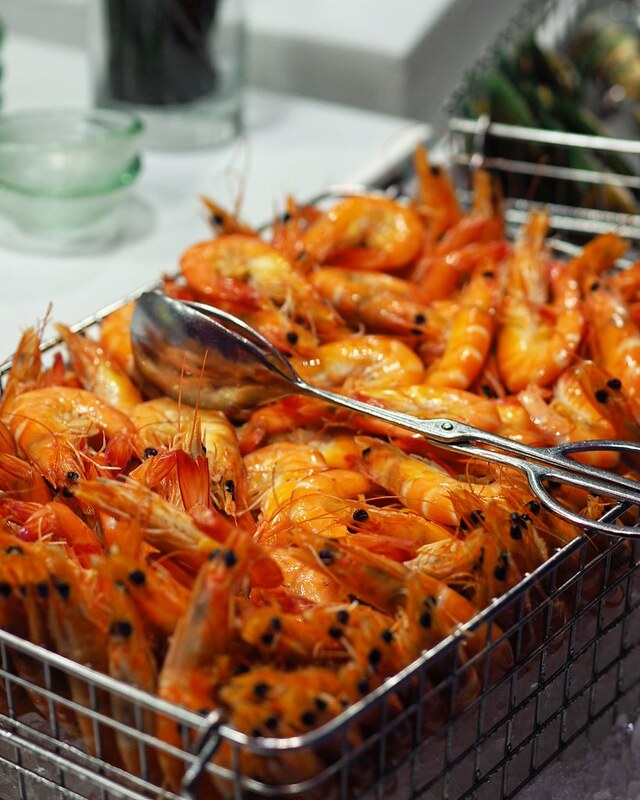 Available at the buffet lineup is the Cantonese Imperial Seafood Porridge. 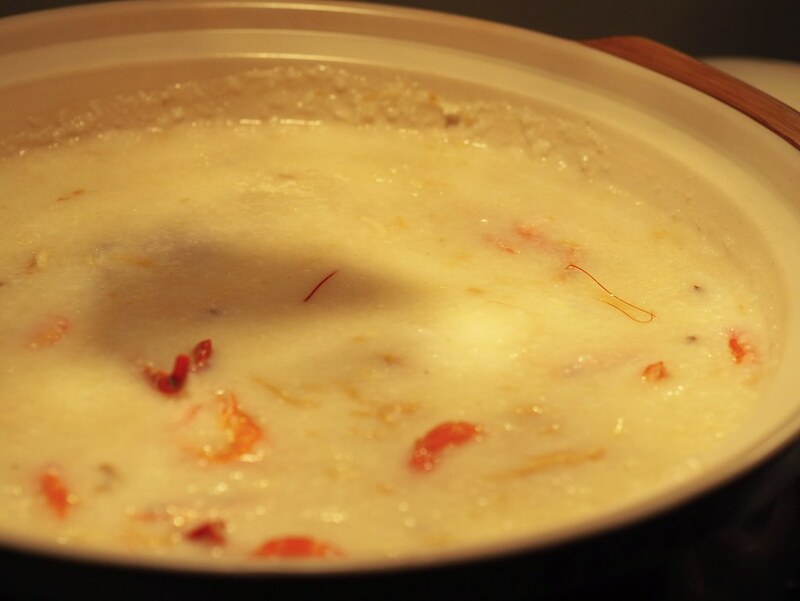 The perfect dish for something warm and comforting before diving into the richer savouries or have them along with bowls of these porridge which exudes out the sweet freshness of seafood. 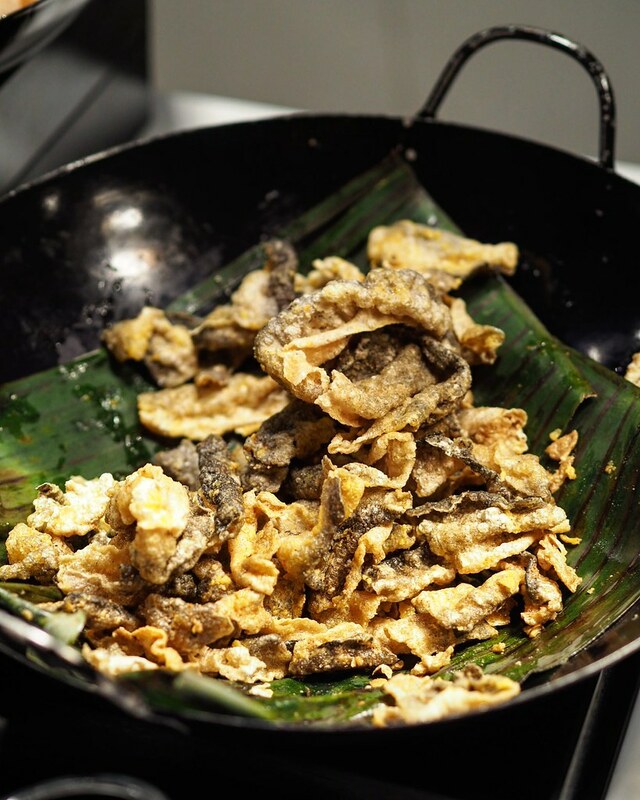 One of the local's favourite - the Fried Salted Egg Fish Skin did not disappoint with its crispy deep-fried fish skin dusted in thick coats of salted egg powder. 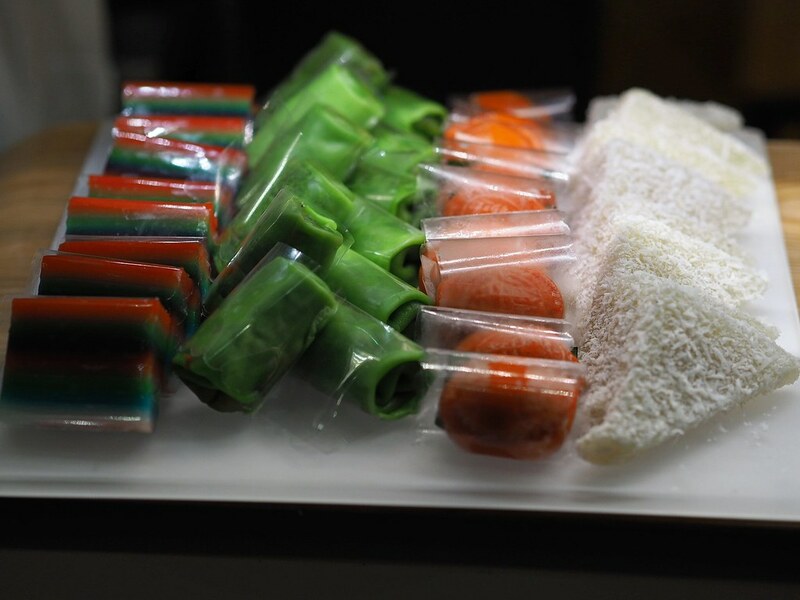 This richly flavoured snack is deeply addictive. 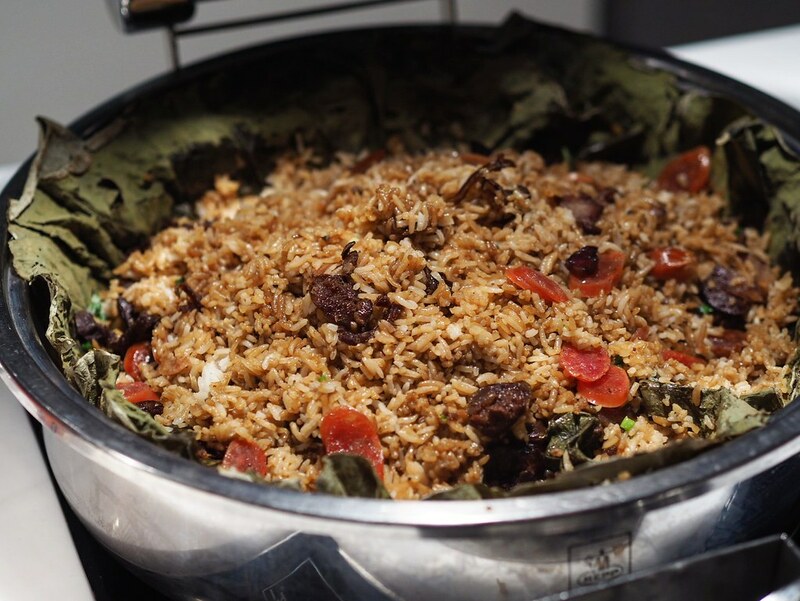 Round off your Lunar New Year meal with their Cantonese Waxed Meat Rice - for something familiar and comforting. 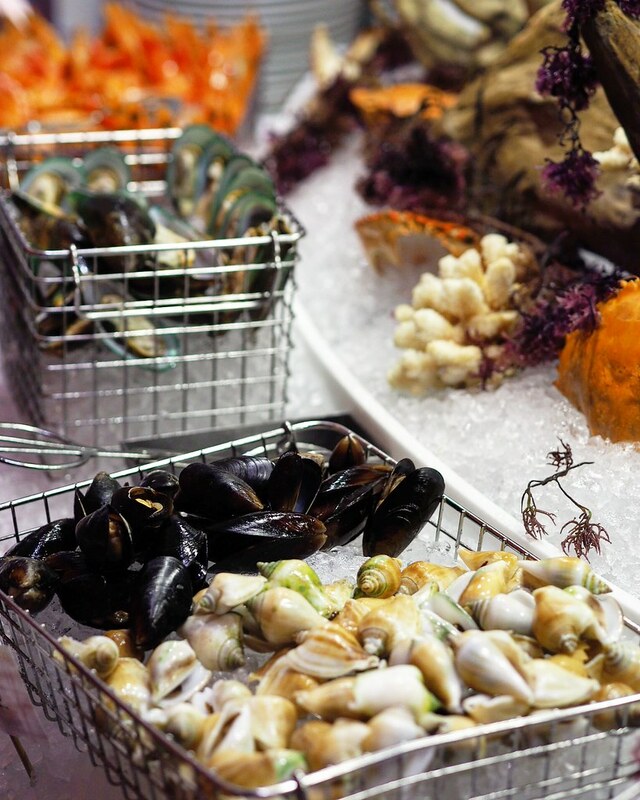 Other dishes at the buffet include the seafood, meat, and asian food sections. 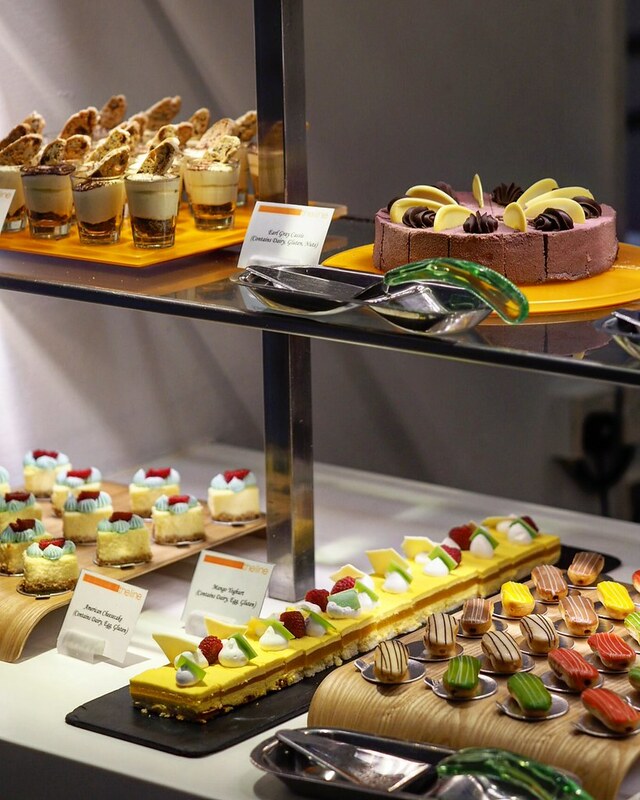 The lavish dessert spread include an impressive array of petite dessert cups and cakes as well, such as the Green Tea Opera, 66% Caraibe Chocolate Cremeux, Profiteroles, 72% Chocolate Nutty Cake, Rainbow eclair, Tiramisu, Strawberry Litchi, Black Velvet cake and so on. 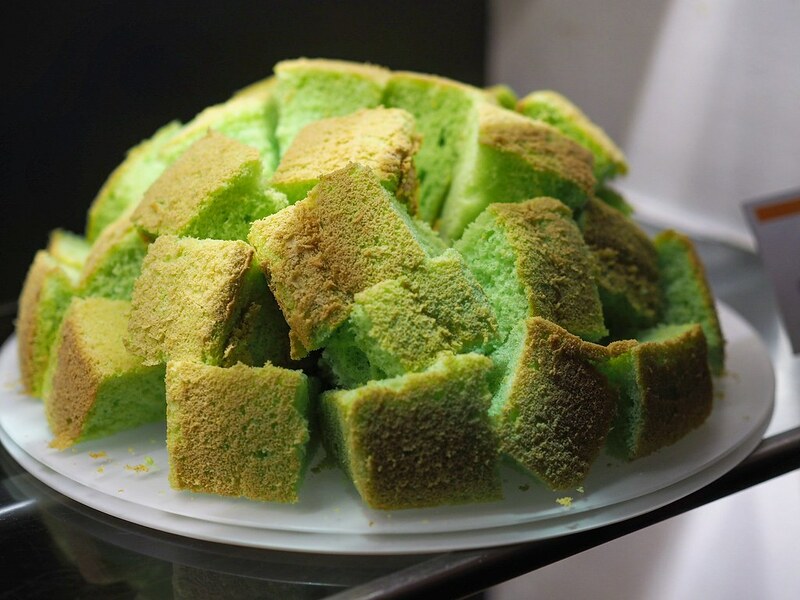 Diners can also indulge in a variety of nonya delights such as the pandan chiffon, kuehs, as well as old school cakes.